A rare Mercedes-Benz classic: W126 560SE - The "Ockhuisen" Mercedes-Benz Collection. German “H” registration plate for 560SE from 2018. 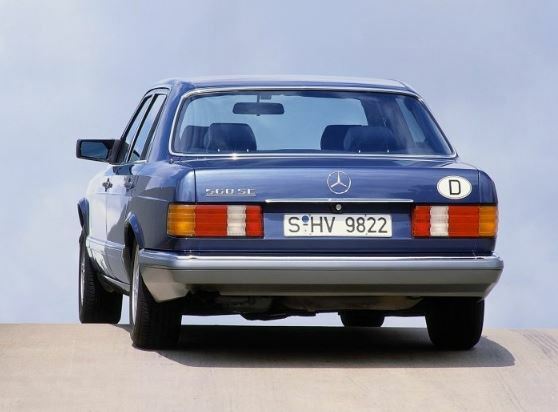 Three decades ago, a exclusive Mercedes-Benz model celebrated his premiere: The 560SE (126 series) combined the top performance of the flagship S-Class model with the more dynamic handling of the shorter wheelbase. Next year the first examples of this model will be 30 years old. Which make him eligible for the coveted “H” registration plate. This is itself celebrating its 20th birthday in 2017: it was first issued in the Federal Republic of Germany in 1997. A rare classic this 560SE. Stuttgart. All in all, after the 560 SE celebrated his premiere at the Paris Motor Show in September 1988: Just 1252 units of the Mercedes-Benz 560 SE were produced between 1988 and 1991. That makes this short-wheelbase version of the S-Class a much rarer classic than its sister model, the 560 SEL (75,071 units). Hi .. I own a 1989 560 SEC AMG LHD in NZ. Was stored in a warehouse for five yrs when I found it…so had a bit of work to do to it…new brake hoses… New fuel pumps …. filters etc took a day to get it running right …It had 132000ks on it. I then drove it approx 3000ks around NZ before taking it home. Since then have replaced valve stem seals and timing chain etc. Repaired sunroof …had a leak around windscreen so resealed that …have replaced the front bumper with a brand new skin cos old one had a few cracks where the skirt for lower spoiler fitted on….have left it off cos it’s too low for speed bumps. Im very happy whit my 500 SE from first owner 1986. I’m lucky enough to own one. It’s my 5th 126 and by far the best.. It features in my first book on the 126.